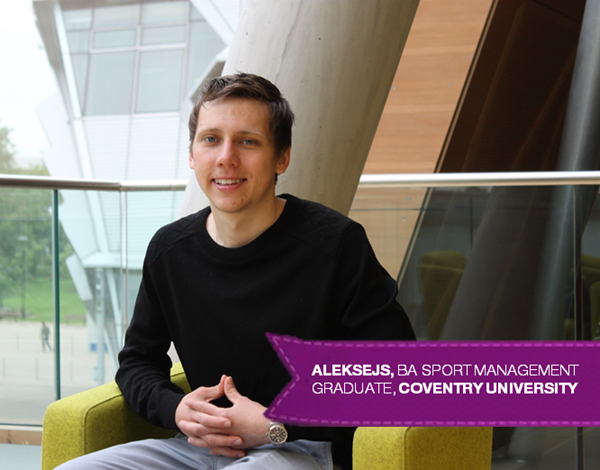 “Coventry University appeared to be the most suitable university for me as it seemed to be just right in terms of reputation, sporting facilities within the city and the university itself, opportunities for professional development, living expenses and chances of finding a part-time job whilst studying. When I received my offer from Coventry University, I had no hesitation or concerns to accept it and come to Coventry to start my studies. The university provides significant support in order for you to develop as a person and as a specialist within your field. It gives you an exceptional opportunity to come out of the university with the right set of skills and knowledge required to land your dream job. 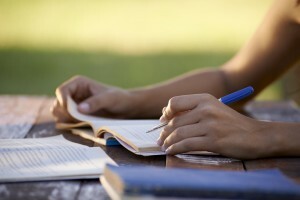 I feel very positive about the teaching methods that are being used for my course. The material is delivered in a variety of forms, including formal lectures and seminars alongside interactive workshops and even field trips. Moving away from home and getting used to living on my own, speaking non-native language was quite a challenge for me, that I was looking forward to, whilst also being a bit cautious and anxious about. Now, after 4 years, I can definitely say that overcoming all these boosted my confidence and self-esteem, helped me to better understand my own personality and believe in my abilities.